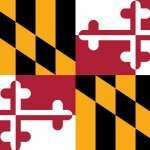 Maryland Poker - Is Online Poker Legal in Maryland? Is poker legal in Maryland? That’s what you’re here to find out, right? § 12-102. Betting, wagering, gambling, etc. Poker is a game of chance in Maryland. So all types not already permitted by the state are illegal. But you’re in luck – this page will show you which is which. You should brace yourself for some bad news, though. As it sounds now, most of your (poker) options are indeed illegal. But there is some good news, too. We expect Maryland to be making changes for the better in the coming months and years. Home poker games are illegal in Maryland. You home isn’t a regulated establishment, like a casino. You’re not licensed. And poker is a game of chance. So it falls under the statute in my introduction. What’s worse is there are additional statutes. Like this ‘gaming device’ statute that looks like it could apply to the table you play poker on. (ii) a game or device at which money or any other thing or consideration of value is bet, wagered, or gambled. If you get caught breaking the law you face up to 12 months in prison and up to $100 in fines. Scary stuff, if you ask me. But there are two pieces of good news. 1) Lawmakers and law enforcement in the state have admitted to not enforcing either law as it pertains to home or social poker games. So you could (probably) host or participate in a home poker game and not have to worry about the cops breaking down your door. The only rule you have to follow is you cannot rake the pot or charge a tournament/entry fee. There was some back and forth. The only thing really said against allowing it is to why bother fix what isn’t broken. In other words, if no one is enforcing the law now, what’s the point in changing it? But other than that the general consensus was in favor of allowing it. I’ve not heard of anything since. But things do take awhile to change and take affect. I’m optimistic that this will change in our favor, though – and sooner rather than later. Maryland doesn’t have language specific to online poker. But I’m pretty sure the statute above covers it, making it illegal. Another hint is how few poker sites, casinos and sportsbooks accept Maryland customers. There are only a few, and for good reason – Maryland has shown they’re not afraid to go after sites or site owners. So, it’s no surprise we’ve seen Bovada leave individual states over the last couple of years. But you can still play online – assuming you can find a site. Just know that it’s against the law. 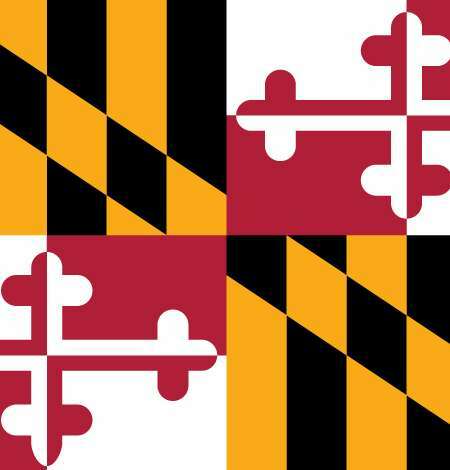 Most poker analysts would consider Maryland a ‘late bloomer.’ You can see how that applies as it pertains to home poker game laws. But it also applies to their live casino poker. Up until 2012 they didn’t allow table games in their casinos. But they changed the laws and we saw the first table games launch in April 2013. A bunch of late bloomers, indeed. Maryland Live! – They offer high hand bonuses and have several guaranteed tournaments ranging from $20k to $100k. This is also one of the most popular casinos on the entire east coast of the United States. Hollywood Casino – Take your pick from Texas Holdem, Stud and Omaha poker at Hollywood, as games run here 24/7. Most of the casinos I found also offered racing, slots, video roulette and other standard casino games. A well-rounded selection. You can also head to Delaware or West Virginia and play in one of their casinos. What Does The Future Look Like For Poker Players Here? It sounds like legislation revolving around home poker games will happen before online poker. That’s party because the state is waiting to see what other states do with online poker before they pull the trigger on it. And considering we’ve seen 3 states legalize it so far, and know that California, Pennsylvania and Colorado are at least thinking about it, the expert opinion that Maryland will do the same in 2017-2018 sounds about right to us.